Stress is prevalent. We work long hours, we worry more than we should, and we constantly rush from here to there attempting to cross items off a long to do list. We fail to take care of ourselves. Research has shown for years that more heart attacks occur on Monday mornings because the stress hormones of cortisol and adrenaline are present in higher levels on this day of the week. After a relaxing weekend, many of us experience stress as the result of the thought and action of returning to work on Monday morning. What happens when we add the stress of caregiving to an already stress filled life? Many caregivers don’t experience the “weekend break” that most individuals enjoy. Caregivers work during the week, some provide caregiving support in the evenings during the week, and then on the weekends there is a long list of tasks to be completed for a loved one. There are few experiences comparable to a caregiver’s 7-day work week and having to be available 24 hours a day to care for a frail or ill loved one. As responsibilities increase for caregivers, the stress meter goes off the charts and feelings of anxiety, anger, overwhelm, and frustration occur many times because the options to remove oneself from this situation seem absent or extremely limited. For many caregivers, it’s not only the stress of caring for a loved one that results in stress but many other factors. Add to the role of caregiving interactions with other family members that may be challenging or even contentious, dealing with insurance companies, medical providers, and a long list of people who may be less than helpful. At times, the frustrations of the role of caregiving are enough to make one want to just run away. In addition to the traditional wisdom about managing stress that includes exercise, a nutritious diet, meditation, support groups, participating in therapy, taking frequent breaks, maintaining a positive attitude, learning time management techniques, deep breathing and other spiritual pursuits, what specifically might caregivers do to manage mountains of stress? Since caregiving is a role that is rarely expected, the individual in the role of a caregiver is rarely prepared. It’s no different than having a car that runs well for a period of time and then all of a sudden the car has to be replaced. Suddenly you’re researching different types of automobiles, reliability, costs, and other factors, talking with friends about their automobiles, and then one day you make the decision to purchase a new car. Caregiving is no different. Until you are thrust into the whirlwind of having to care for a family member or friend there is rarely investigation into what might be involved. Welcome to the not so friendly and stressful world of caregiving. 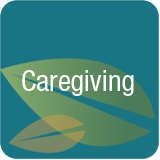 Below are three tips for caregivers that have the ability to reduce stress, feelings of overwhelm, and to return balance to what might seem to be a stressful and unsettling life as the result of the addition of the role of caregiving. Preserve family relationships by agreeing to hire help. Many parents prefer to have children or other family members do all of the work, complete all of the tasks. From a time and physical availability perspective this is not always possible. Adult children have careers, their own families, children, and other commitments. The added stress of caregiving often results in adversarial family relationships due to feelings of resentment of giving up family time, of sacrificing a career, and giving up other important life activities. Recognize that family relationships and one-on-one time with a frail or ill loved is important. It is most often the daily tasks and projects that wear out the caregiver and result in frustration and resentment. Hire out the tasks so that family is able to enjoy family. I know few caregivers who will remember scrubbing the toilet after a loved one has passed. I know more caregivers who will remember watching a movie with a loved one or who will reminisce about other positive events or experiences. Find a caregiving advocate to reduce stress and to provide peace of mind. Who knew that such a person existed? It’s usually only until one becomes a caregiver that the availability of an advocate becomes known—and sometimes not until one has been a caregiver for some time does one run across a caregiving advocate. 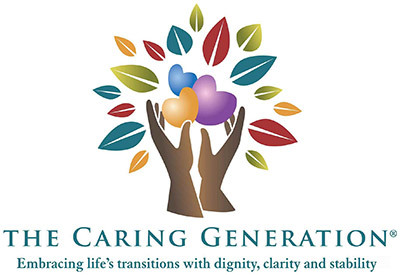 Experienced caregiving advocates offer options and support for all aspects of a caregiving situation with the goal of decreasing stress and increasing peace of mind for all involved. Advocates are able to assess situations, provide care oversight, recommend and manage support services and in many cases manage the day to day responsibilities of caregiving so that family may enjoy family time—not complete tasks related to the work of caregiving. Negotiate with other family members to contribute time, tasks, or money at the start of the care need (not later). Many family members become immediate caregivers without giving consent or giving much thought to the responsibilities and time, task, or financial commitment. It’s often not until a caregiver is worn-out or burned-out does the caregiver think to ask for help from other family members. By this time it’s too late! Other family members have already seen you jump in to the willing role caregiver without asking for their assistance. Negotiating at the beginning of the caregiving situation is easier. Hold a family meeting, discuss the care, physical, emotional, and financial needs of a loved one and determine who will provide different types of assistance. Even if only financial due to distance or not having time, contributions of money may be used to retain outside assistance or to pay household or other medical bills. There is a role for everyone in caregiving situation. Research statistics for caregivers are sobering. Many caregivers become as ill, both physically and mentally, as the person for whom they caregive. Early discussions regarding family member roles and paid support are critical to ensure that the care situation remains positive. While many parents resist the idea of paying for help, this type of support may be exactly what’s needed to preserve family relationships and to ensure that a loved one receives the best care possible. Family relationships are important. Completion of the day to day tasks and managing a care situation may be supported by care advocates and other paid assistance.